Longer screws needed, what coming with the backplate! The use of the backplate requires longer screws (included with the backplate). All other required components for installation can be taken from the installation material of the CPU waterblock. This backplate allow the use of stronger/harder springs (also included with the backplate). 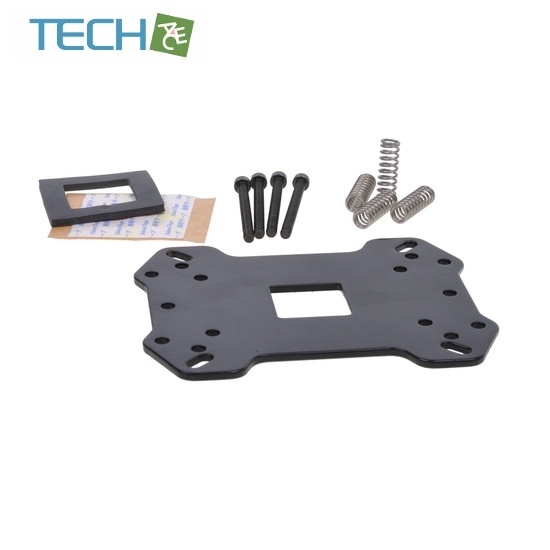 This backplate is a now optional accessory not only for Alphacool waterblocks. It is compatible with all Intel and AMD sockets which are supported by Alphacool waterblocks. The rubber plate is not required for socket 1366 Mainboards or other Mainboards which are already equipped with a small fixed backplate.